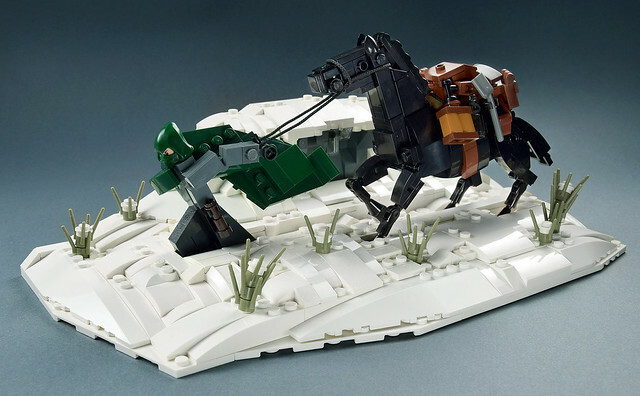 Aido K has built a really striking scene of a cloaked man leading his horse through some chilly terrain. So many details in this I love: the brick-built horse, the traveler's feet creating a path in the snow bank, the flowing cape, and the little pieces of snow ontop the plants. But what makes it for me is the dynamic posing of the characters. It really brings the scene to life.